The Olympic Women's Team has already concluded its proceedings with China successfully defending the championship gold. 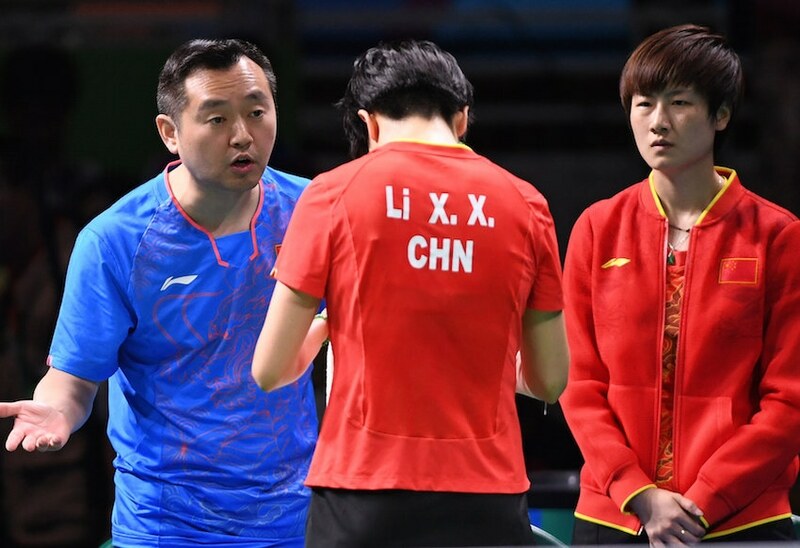 Li Xiaoxia, Liu Shiwen and Ding Ning were all imposing to their opponents, sealing a mighty score of 3-0 for the highest podium in the Olympic Games. According to Kong Linghui, their journey is the most relaxing. After days of exhilarating competition, the champion of the Olympic Women’s Team event was decided just under 1 hour and 30 minutes in the Riocentro Pavillion 3 as the Chinese Team successfully secured the gold in an incontestable manner. Losing a game has never been a main issue for other teams but it is different for the Chinese Team. Victory for them is a constant while the variable is how they achieve it. The head coach stressed out that there won’t be any exemplary results if they haven’t been precise and focused on their requirements in their preparations. Kong Linghui believes pressure plays a critical role in it. “The important thing is that we have continuously given our players pressure in the four years of preparation. We honed their minds. In this competition, they were able to show it,” added the head coach. In the final round against Germany, despite the striking presence of Li Xiaoxia, Liu Shiwen and Ding Ning, few difficulties were encountered. Li Xiaoxia was challenged in her opening game while the Doubles lost a game. “In the opening match, Li Xiaoxia played a bit passively in the first game. But after that, she was able to play very smoothly. Losing a game in the Doubles is normal. Because Ding Ning played against two defensive players in the Singles, there was definitely some reactions on her shoulder,” explained Kong Linghui. China admitted that they hoped to battle against Japan in the final round and at the same time, also acknowledged the strength of Germany. However, in reality, the pressure in the finals from Germany was much lesser than expected. “Compared to Japan, Germany’s pressure on us is much smaller,” concluded Kong Linghui.